BERLIN (AP) — The U.S. European Command has released dramatic photos of a Russian jet coming within a few feet of a U.S. Air Force reconnaissance jet over the Baltic Sea in a maneuver that has been criticized as unsafe. 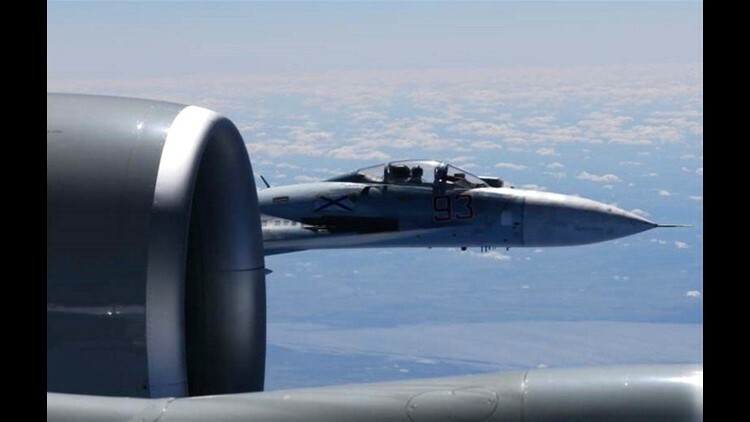 The photographs released Friday show the Russian SU-27 coming so close to the wing of the U.S. RC-135U that the Russian pilot can be seen in the cockpit in some images. Intercepts are common and are usually considered routine, but EUCOM said in this case on June 19 "due to the high rate of closure speed and poor control of the aircraft during the intercept, this interaction was determined to be unsafe." Two days later, Sweden summoned Russia's ambassador after another SU-27 jet flew close to a Swedish Gulfstream reconnaissance plane over the Baltic.